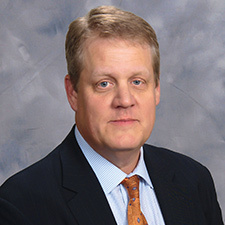 Russ Watson is the Executive Vice President and Chief Administrative Officer, where he is responsible for the corporate strategic direction focusing on sales growth, improving the customer experience and creating an environment that fosters employee development and growth. He is specifically accountable for sales, customer service, client services, quality, training, claims and human resources. Since first joining Hilldrup in 1996 as a management trainee, he’s steadily risen up through the company, holding the following positions: Move Coordinator, Claims Adjuster, Operations Planner and Customer Service Manager. In 2001, Russ was promoted to Director of Client Relations and then to Director of Client Relations and Quality in 2004, and to Vice President of Client Relations in 2005. He was named Senior Vice President in 2011 and Executive Vice President and Chief Administrative Officer in 2016. Russ graduated with a bachelor’s degree from the University of Virginia and currently lives in the Fredericksburg area with his wife and three sons. In his free time, he enjoys serving on the board of Gwyneth’s Gift, golfing and watching University of Virginia athletics.